Not a week passes that we’re not reminded of the devastating impact opioid addiction has on our society. The lives of loved ones all over the country have been lost from opioid overdoses or opioid-related deaths. 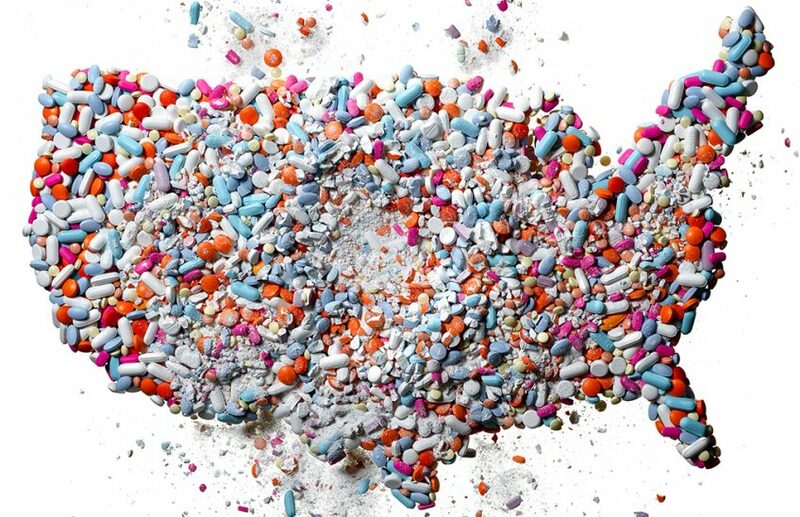 It’s easy to feel overwhelmed by the extent of the problem, but before we can do anything to address the opioid crisis in America, we first need to understand how we ended up in this state. Opioids are a powerful class of prescription painkillers. When used as directed by a doctor, they can provide powerful pain-relieving effects to those in need. Opioids can also alter the part of the patient’s brain that creates feelings of pleasure and satisfaction (giving a “high” feeling), especially when taken in higher doses or more frequently than prescribed. If overdosing goes on for long enough, the patient’s brain undergoes structural changes and they become physically dependent on opioids to control their pain. At this point, the patient will experience cravings, anxiety, and withdrawal when not taking opioids, leading to a high potential for addiction. When opioids are used more frequently, and at the high doses seen in abusers, the drugs can cause difficulty breathing and heart attacks leading to death. In the early 1990s, pharmaceutical companies reassured the medical community that patients would not become addicted to opioids, so healthcare providers prescribed them at increasingly higher rates. Eventually, this lead to widespread misuse and it became evident that legally prescribed opioids do cause addiction, tolerance, and death. At that point, it was too late to prevent the devastating impact it had on patients. In 2015, drug overdoses were the leading cause of accidental deaths in the United States. In 2016, 66% of all drug fatalities involved opioids. Last year, the opioid epidemic was declared by the President to be a public health emergency in the United States. And in Erie County, New York, the opioid overdose stats are far greater than the statewide average. This prompted our 2018 Innovation Challenge winners, University at Buffalo School of Pharmacy and Buffalo Academy of the Sacred Heart, to address the opioid crisis in America and the concerns of their local community. As it’s important to raise awareness and deter first-time opioid misuse before abusive behaviors are set into practice, the two schools decided to target their efforts towards the high school population. Most adolescents between the ages of 12 and 17 who misuse prescription pain relievers get them from an friend or relative. And young adults ages 18 to 25 are the biggest abusers of prescription opioid pain relievers. By educating them before they become abusers, the two schools hope to reduce the rates of opioid misuse through their OpiEducate program. OpiEducate inspires high school students to combat this growing epidemic by providing resources and demonstrating the role pharmacists have in educating patients about proper use and dangers of misuse. The University of Buffalo School of Pharmacy and Sacred Heart Academy hosted a pilot fair to demonstrate the feasibility of their program and show its impact on high school students. The health fair lasted nearly two hours and was attended by 35 high schools STEM students. To gauge the effectiveness of the program, they administered a pre- and post-health fair survey. The results were promising. Prior to the health fair, 47% of surveyed students were unfamiliar with opioids. After the health fair, 100% of surveyed students were familiar. Want to bring the OpiEducate program to your school? That’s what the University of Buffalo School of Pharmacy wants! They want other schools to use their template to promote opioid awareness on their respective campuses. Visit their website to bring OpiEducate to your campus and further position pharmacists as a source of accurate opioid information. Looking to participate in our 2019 Innovation Challenge and make real impact? Click here to learn more.